书籍简介: Get everything you need to know to make the right decision! This insider’s perspective on the nation’s top law schools provides rankings based on student surveys, just like those made popular by The Princeton Review’s Best 361 Colleges guide. 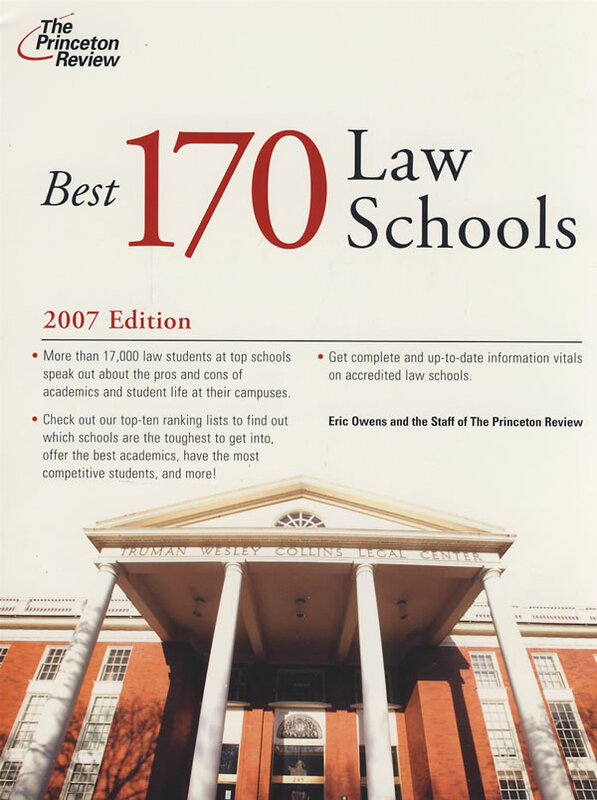 Best 170 Law Schools also includes student quotes about classes, professors, the social scene and more, as well as a complete index of schools throughout the country with basic information on their programs. Plus, it covers the ins and outs of admissions and financial aid, and the schools get an opportunity to talk back by including their own profiles. Best 170 Law Schools has all the information you need to find the perfect match in a law school.